In 1995, filmmaker Robert X. Cringely was working on a TV mini-series dubbed Triumph of the Nerds: The Rise of Accidental Empires. In the course of creating the show, Cringely interviewed Apple figurehead and nouveau geek demigod Steve Jobs. That interview, contained within a VHS tape, was misplaced by Cringely following the show’s debut, and it wasn’t until last year that the sizable remnants of the interview were rediscovered. Shortly thereafter a select few Landmark Theatres locations began showing the unedited interview in its entirety. Keep that in mind for a moment. 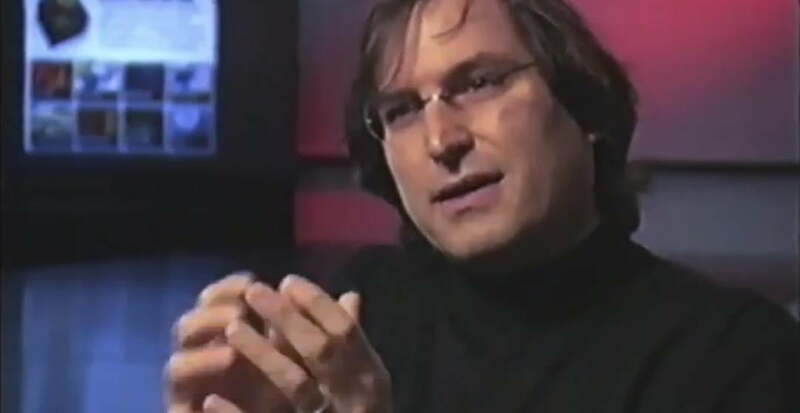 This morning, Magnolia Pictures announced that it had acquired the rights to Steve Jobs: The Lost Interview and would be dropping the film into theaters come May 11. Following the theatrical run, the film will then be released on DVD and video-on-demand services. It even went as far as releasing a trailer (see below) that claims that this interview has been utterly lost for the past 17 years. Which, as you now know, isn’t exactly true. However, according to iFilm, the interview which was rediscovered on a VHS tape, “has since been cleaned up and converted for a modern day release,” so if nothing else, the Magnolia version of this film is the definitive release to date. As for why you should care, 1995 was a rather interesting year for Jobs. At the time he was not working for Apple, having been shown the door roughly a decade prior. It would still be another year before Apple would acquire Jobs’ NeXT, thus bringing him back into the fold and kicking off the next decade-plus of the company’s massive iGadget-fueled success. In hindsight it’s an intriguing historical relic for all tech geeks, though there’s also the argument that people may want to go see this movie due entirely to Jobs’ almost-worryingly-powerful cult of personality. Though either would seem a strong draw, one wonders if Magnolia wouldn’t have been better off delaying this release a bit. Jobs is iconic, no doubt, but one wonders if he can compete with a Norse god of thunder, the living embodiment of American ideals and Robert Downey Jr.’s smug sense of self-satisfaction.